On the occasion of Christmas, Sally Hansen launched a new range of Nail Colors- Lustre Shine in three beautiful shades- Plume, Azur and Scarab. 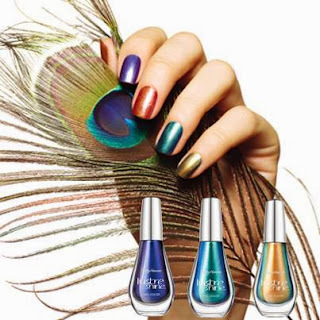 These are intense and radiant nail lacquer infused with real silver from the Far East that creates a rich iridescent effect on nails! These three shades seem to be taken up from the shades in a peacock's feather. 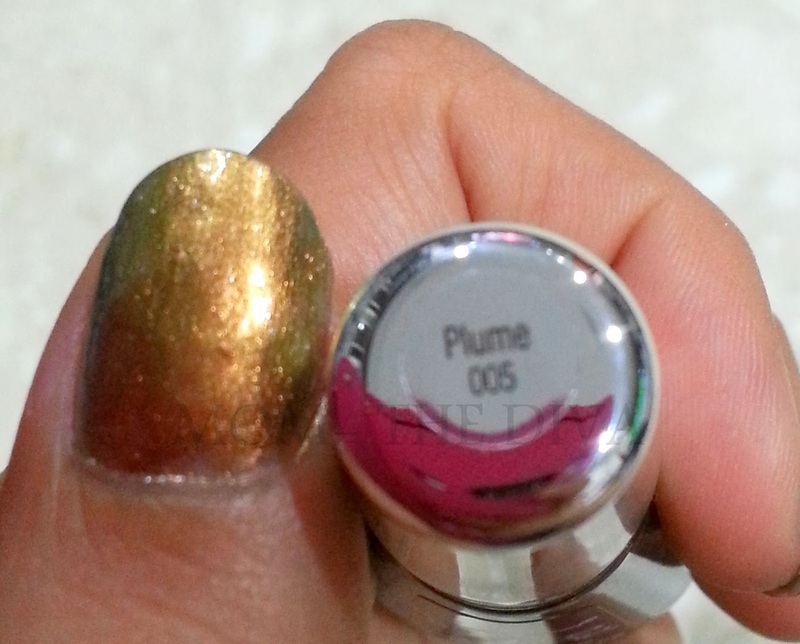 Even I could not stop myself from picking up one of them, so I picked up Plume (005), which is like an antique gold with greenish undertones and bronze sheen. It picks up the color shades and tones from peacock's plume quite well and I was instantly attracted to the bottle. The color is great and easy to apply, comes out opaque with two coats but wanted it to be a little more intense so applied three coats. 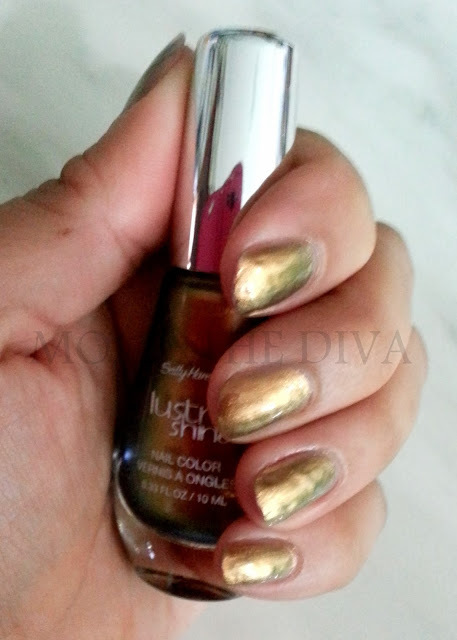 As I always do, I used the Sally Hansen Diamond Shine Base and Top coat as well. The colour is intense with light sheen and stays on well atleast for 4 days. I am also now excited to try the other two shades and promise to put up the review as soon as I do that. 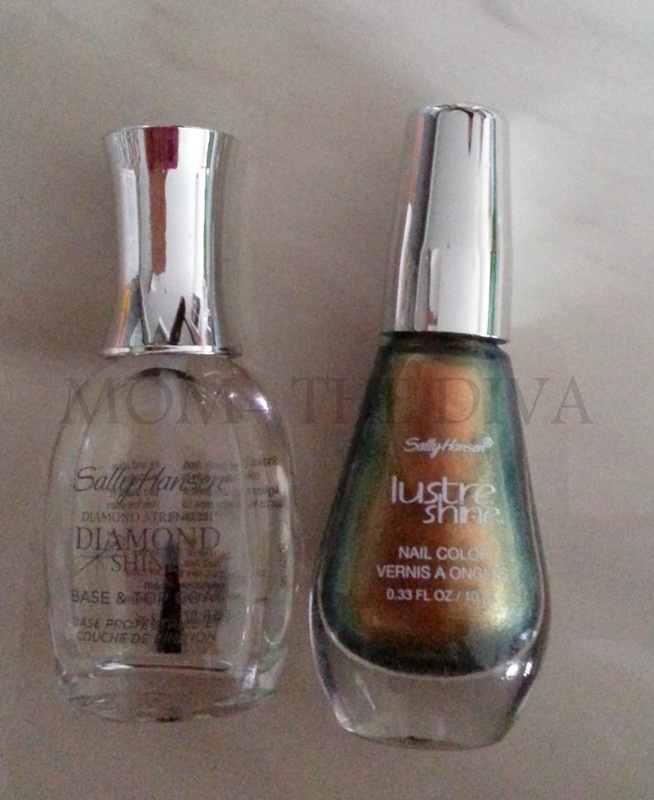 Somehow, Sally Hansen has been my favorite for Nail Paints because of the variety of textures and variations that they have to offer... Do check out my review on Sally Hansen Fuzzy Coat here.